A Z-Score chart, often called a Z-Table, is used to find the area under a normal curve, or bell curve, for a binomial distribution. The Z score itself is a statistical measurement of the number of standard variations from the mean of a normal distribution. 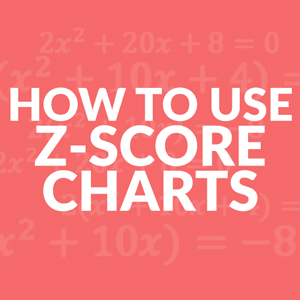 The Z-score value can either positive or negative indicating that sample lies above or below the mean by a measure of standard deviations. What is a Negative Z-Score? A negative z-score has a value that is below or to the left of the mean of the standard normal distribution. What is a Positive Z-Score? A positive z-score has a value that is above or to the right of the mean of the standard normal distribution. 1 What is a Negative Z-Score? 2 What is a Positive Z-Score?